o CHECK BACK FOR UPDATES. o My life partner, Barbara Wishy, and I were recently honored together by Preservation North Carolina as recipients of the PNC Gertrude S. Carraway award for our separate lifetime work in the field of historic preservation. I want extend a special thanks to the many buyers, sellers, contractors, architects, my fellow Metro Digs and other agents, preservation specialists, historians, so many others and Barbara Wkishy who continue to make each day so personally and professionally rewarding. o The homes shown below exclude the many homes I have sold as a buyer's agent that are listed by other real estate companies or for sale by owner (FSBO). o Metro Digs, Inc., is a general purpose realty brokerage headed by Hilary Strokes, and includes Debra Smith, Mickey D'Loughy and Jill Mertens. We work together and individually as independent contractors representing buyers and sellers and focusing on unique homes, condos and townhomes in downtown neighborhoods and other communitries throughout the Triangle. o Preservation North Carolina. A rich resource for historic homes across NC. o Triangle Modernist Houses. These homes can also be historic. o Raleigh Historic Development Commisson (RHDC). 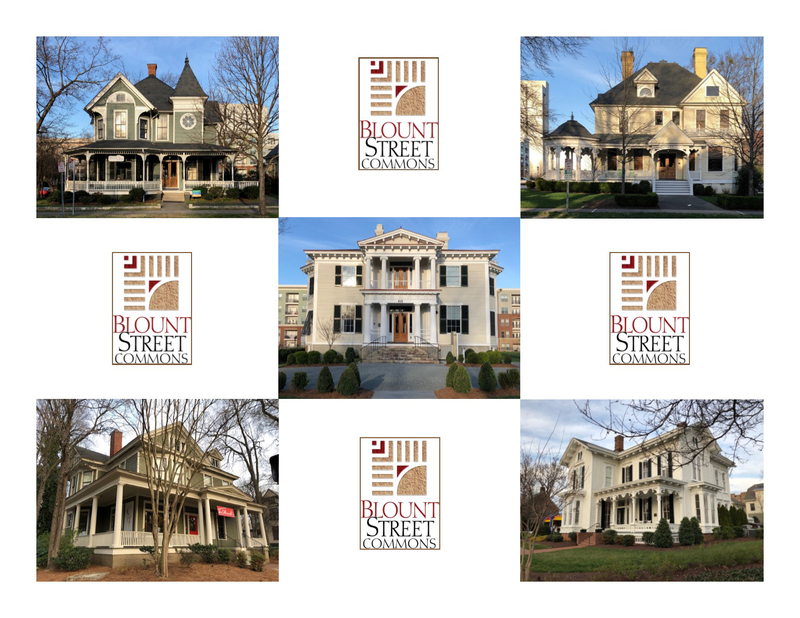 Provides a wealth of info about historic districts, federal & state rehab tax credits, approvals needed for exterior impovements in local (not national) historic districts and 50% property tax deferrals for Raleigh Historic Landmarks. o View "The Portrait", a trailer of a TV movie starring Lauren Bacall and Gregory Peck in Oakwood at 500 Polk St in 1993.
o Historic Oakwood Oral History Project - Listen to neighbors talk about neighbors tell stories including the defeat in the 1970's of a proposed north-south highway that would have destroyed Historic Oakwood and much of the near east side of Raleigh. o Factoid - East Budleigh was the home of Sir Walter Raleigh who grew up in the home of Hayes Barton, a farmer. Check back for new listings to be added. Escape to country-like 1.21 garden acres located a mile from both Lake Wheeler and Yates Mill Pond and a short drive to Raleigh and Cary. This updated Greenbrook Farms classic home has a great floor plan with LR, DR, Sun, Breakfast rooms, back stairs to Bonus room, walkup attic rec/hobby room plus storage, detached workshop, big deck. Many updates include 50-year roof, heat pumps, plumbing, tilt-out windows, wood blinds, baths, kitchen, cherry cabinets, parquet LR floor. No HOA fees. No city taxes.Co-listed with Debra Smith. TMLS #2238165. 3 BR. 2.5 baths. 2,464sqft. >view flyer, area map, SLIDE SHOW, MLS detail. SP $393,0000. View Buttercups blooming in Green Park from the large, partially screened front porch of this restored 1920s architectural gem, the Page-Bishir House. It has a sociable floor plan with large, sunny rooms, Butler’s pantry, eat-in kitchen with a w/in pantry. A mud room leads to a patio/garden and rear alley private parking. It’s a distinctive plan, offering optional uses of the 4 large BRs, 1 down, 3 up. Each has a w/in closet an d bath access. One opens to a sun room, another adjoins an office/nursery. Co-listed with Debra Smith. TMLS #2227285. 4 BR. 3 baths. 3,577sqft (includes 118 sqft mud room/back hall). >view flyer, SLIDE SHOW, MLS detail, floor plan, historic districts/maps & agreement. SP $893,050. SD 3/29/19. WALK OR BIRD SCOOTER DOWNTOWN, DIX PARK, EVERYWHERE. This refreshingly unique, restored, solid brick, brick mason’s 1925 masterpiece is enhanced by a bright, open eat-in kitchen and MBR suite with W/I closet. The versatile floor plan includes 1st floor BR with full bath and meditation/music/game room. Sun room and porch gaze out at park-like Oak grove. Walk-out basement features office/studio plus flex space used as band rehearsal space. Big multi-level, versatile back yard for cookouts and dog run. Co-listed with Debra Smith. TMLS #2211644. 3 BR. 3.5 bths. 2,177 finished sqft. >view flyer, SLIDE SHOW, neighborhood info, gallery brochure, MLS detail, floor plan. SP $555,000. SD 11/6/18. William Montfort Boylan, son of William Boylan, built Montfort Hall on land that was his father’s plantation and included much of southwest Raleigh and extended north to Hillsborough St. The current house is 6,000 sqft on 0.99 a acre lot. The property is located in the Boylan Heights local historic district and is subject to a Historic Preservation Agreement. It is listed on the National Register of Historic Places. Call for information that includes a master thesis featuring this and a similar house, the Barracks in Tarrboro, designed by William Percival. SP $1,100,000. SD 6/22/18. Big, bright and open best describes this elegantly restored Queen Anne style Walter Clark House, c.1895. It is a Raleigh treasure, as is its location on a scenic corner where the diagonally opposite house was once the location of a Gregory Peck/Lauren Bacall movie. LR, DR, FR/library and4 bedrooms all are over 16x16 ft. The big 0.25 acre lot provides ample off-street parking steps away from the modern kitchen and an office/5th bedroom with a full bath. Contemporary, Victorian, eclectic decorating styles all fit nicely in these grand rooms. Co-listed with Debra Smith. TMLS #2177769. 4 BR. 3 baths. 3,843 finished sqft. >view flyer, SLIDE SHOW, neighborhood info, gallery brochure, MLS detail, floor plan. SP $797,000. CD 6/4/18. William Grimes Haywood House. ca. 1920-1923. Live/work in this James Salter designed Georgian Revival house. It’s elegant – Doric columns, grand entrance foyer, 8 French doors, 4 opening into 0.55 acre fenced lot with pergola, terraces, garage, parking. Converting it from earlier office use in 1998, sellers have updated kitchen, baths, mechanicals, enclosed side porch, added 3rd bath, wine cellar, pro 6-burner gas range, more. Work needed in and out includes finish carpentry, prep, painting. Co-listed with Debra Smith and Mickey D'Loughy. 4 BR. 3.5 baths. 4,269 finished sqft plus 249 sqft enclosed porch unheated. . >view flyer, SLIDE SHOW, MLS detail, neighborhood info, floor plan w/pics, gallery brochure, summary of City Historic Preservation Agreement, zoning and Blount-Person ST corridor study. SP $860,000. CD 4/25/18. The Duncan L. Johnson House. This distinctive 1917 Craftsman restored house sits on a quiet, dead-end street in the Glenwood-Brooklyn Streetside Historic Overlay District (HOD-S). The bright, open, eat-in kitchen/sun room overlooks fenced yard. Hardwoods up & down. Built-in bookshelves. Office/pantry. Daylight basement. City skyline views. Fresh paint. Dual zoned gas HVAC. Driveway. An urban bullseye – you are surrounded by Fletcher Park, Glenwood South, Five Points and Cameron Village, all a short walk away. Co-listed with Debra Smith. TMLS #2111901. 3 BR. 2 baths. 2,049 finished sqft. $515,000. >view flyer, neighborhood info, MLS details, gallery brochure, floor plan. SP $500,000. CD 6/15/17. Edwards-Haynes House c.1905. Choices. Make this restored Victorian era house your home in the urban village-like Oakwood local historic district. Add a wardrobe to create a 3rd BR. Or choose to continue commercial use as law firm since 1977 with 5 offices and reception room. Great location near 19 new Hargett Place Manhattan style rowhomes, across street from Federal court house, and short walk to State Capitol, courts and museums. Co-listed with Hilary Stokes. TMLS #2114612. 3 BR. 1.5 baths. 1,685 sqft. >view flyer, neighborhood info, MLS details, floor plan. SP $$395,000 CD 5/25/17. Checks all the boxes. Arts & Craft style. New in 2004. Lower level with 4th BR, 3rd full bath & daylight garage/workshop/studio. Bright open spaces. LR/FR & den/office with built-in bookshelves. Formal DR plus breakfast room that opens onto small balcony. MBR suite & 2 bedrooms with shared 2nd bath upstairs. Triangular corner lot with garden & natural landscaping. Boylan Heights Historic district. Walk or bike everywhere - new Dix city park, Boulted Bread, NC State, downtown, NC Farmers Market. Co-listed with Debra Smith.TMLS #2116623. 4 BR. 3.5 baths. 2,372 sqft. >view flyer, neighborhood info, MLS details, floor plan. SP $612,500. CD 5/1/17. Nestled in Budleigh with its breathtaking springtime symphony of dogwoods and azaleas, this Mediterranean villa style home and 0.55 acre lot play well together. All 4 bedrooms overlook the gently sloping, landscaped lawn, as do the Sun, Family and Living rooms that open onto two patios. The sellers updated and enlarged this 1940 home, adding a MBR suite, 4th bedroom and Family Room. Co-listed Debra Smith. TMLS #2097000. 4 BR. 2.5 baths. 2,574 finished sqft. >view flyer, MLS details, neighborhood info/map, gallery brochure, floor plan. SP $585,000. CD 5/1/17. Sales price reflects no buyer agent commission, anticipated tear tear down and permit & stucco issues. Lots of plusses. Cozy cottage – updated and enlarged with new windows, heat/air, refinished floors. Choice 0.21 acre corner lot - big enough to store your boat at the back. Big grassy lawn – partially shaded by three mature trees and a magnificent Magnolia. Eclectic Belvidere Park community - home to families and households of all ages. Walkable, bikeable location - near dog park, parks, greenway and downtown. Multiple expansion options - screen or enclose the carport, add a garage, whatever. Co-listed Debra Smith. TMLS #2103321. 2 BR. 1 bath. 925 finished sqft. >view flyer, MLS details, gallery brochure, neighborhood map & info. SP $240,000. CD 2/9/17. Forget the condo. Live indoors and out in this 1920 updated, center-hall bungalow with a true master suite, 2nd full bath, 11 ft ceilings, big rooms. Modern kitchen opens to big deck overlooking fenced yard and wired workshop/studio. Versatile plan includes living and dining rooms plus 2nd and 3rd bedrooms that could be office, rec room, whatever. Historic Oakwood is an urban village in the heart of downtown. Walk everywhere. Co-listed Debra Smith. 3 BR. 2 baths. 1,793 finished sqft. List price $439,500. >view flyer, neighborhood info/map, MLS details, gallery brochure, floor plan, SP $448,000. CD 10/17/16. Henry Clay Johnson House c. 1874. One of the oldesst houses in Oakwood, its open, flowing floor plan, 2 porches, big LR & DR, sun room and intimate fenced back yard have been home to many memorable Oakwood gatherings. Improvements include new windows, baths (1 added, 1 remodeled), updated kitchen, gas heat, AC, 200 amp electrical service, insulation above and below, lined fireplace chimney, rubber membrane roof. Vehicle access to parking off of both Bloodworth St and Oakwood Ave. Co-listed Debra Smith. TMLS #2053097. 2 BR. 2 baths. 1,662 finished sqft. $395,000. >view flyer, neighborhood info, floor plan, history. MLS details, gallery brochure. SP $400,000. CD 6/6/16. Just added 3rd full bath (3.5 total tile baths) and 2 MBR suites (one up, one down) make this a 4 BR home for all ages. Upstairs office could be 5th BR with wardrobe. This ageless 1925 four-square plan has 10 ft ceilings down, 9 ft up, a screened porch (overlooking side yard), new bookshelves and interior paint. Eat-in kitchen and the other 2.5 fancy-tile full baths are almost new. Full basement offers shop, rec, storage options. Walk to Five Points shops, eats, Rialto movie, Fletcher Park, much more. Co-listed Debra Smith. TMLS #2053097. 4 BR. 3.5 baths. 2,968 finished sqft. $515,000. >view Flyer, Neighborhood info, MLS detail, Gallery brochure, floor plan, National (not local) Historic District description and link. SP $503,000. SD 5/9/16. Live above the clouds on the 32nd floor of the incomparable PNC Plaza Condos. 2 BR with walk-in closets. 2 full baths. Versatile floorplan offers options for master suite, office, study. One BR has a view, the other a Murphy bed and wall of bookshelves. Park in 2 assigned spaces. Walk to theaters, galleries, museums, shops, parks, state capitol, Red Hat HQ. Play on the 23rd floor which features a block-long sun deck, pool, fire pit, game room, fitness center, cinema. Climate controlled storage.Co-listed Debra Smith. TMLS #2042264. 2 BR. 2 baths. 1,152 finished sqft. $420,000. >view flyer, MLS detail, Gallery brochure. SP $418,000. CD 2/11/16. This 3 or 4 BR home, with 2,006 finished sqft, screened porch and full, finished basement, is nested nicely on a quiet cul-de-sac like setting in the heart of the gently rolling hills of the Woodcrest neighborhood, home to families of all ages. Much is new or newer including kitchen, 2 baths, roof, heat/air. Dog and people friendly fenced backyard. Finished basement flex space offers multiple options including a 4th BR suite, office, studio, rec room. Walk to greenway, dog and other parks. EZ access downtown and out-of-town. TMLS #2041109. 3 or 4 BR. 2 baths. 2,006 finished sqft, 0.18 acre lot.$265,000. >view flyer, MLS detail, floor plan, Gallery brochure,, imrovements. SP $265,000. CD 1/26/16. Three, yes 3, bedrooms in a bright, restored cottage with expansion options in the ageless Belvidere Park community near dog park, greenway, downtown. New windows, kitchen, tile bath, HVAC, 200 amp electrical in 2008. Covered porch overlooks fenced backyard, could be screened or enclosed. Big 0.24 acre lot invites adding sunroom or more in back. Many energy saving upgrades. Freshly painted inside.TMLS #2035933. 3 bedrooms. 1 bath. 903 sqft. 0.24 acre lot. $225,000. >view flyer, floor plan, MLS detail, Gallery brochure, neighborhood info. SP $206,500. CD 12/11/15. An arched trellis leads to a Pergola shaded back porch and exquisite garden. The front porch overlooks the scenic Oakwood Cemetery. Built in 1993, the versatile 4 BR plan (2 up, 2 down) offers options for office, den, nursery. The bonus loft upstairs is still used by the original owners as a quilting studio. EZ kitchen access from 2 car parking pad that opens onto Leonidas Ct cul-de-sac. Located in the local Oakwood Historic District. Roof and appliances are new, kitchen remodeled, HVAC replaced in 2005. TMLS #2018673. 4 bedrooms. 2.5 baths. 1,919 sqft. 0.13 acre lot. $410,000. >view flyer, floor plan, mls detail, Gallery brochure, neighborhood info. SP $405,000. CD 8/26/15. Much new plus classic Woodcrest character, versatile floorplan, big corner lot. Floor-to-ceiling windows. Sparkling HW floors. Family room with fireplace. Separate office/guest room. 3 BR including a true master w/tub/shower. Big eat-in kitchen opens to LR & DR. Recently new – roof, windows, heat & air, tankless water heater, sealed w/i crawl space. Corner 0.2 acre lot includes driveway convenient to kitchen, hid-a-way patio, planting beds. Great ISB location near Greenway, parks, downtown. TMLS #2018439. 3 bedrooms. 2 baths. 1,463 sqft. 0.27 acre lot. $265,000. >view flyer, floor plan, mls detail, Gallery brochure, SP $265,000. CD 8/21/15. A stately veranda, partially covered, overlooks the gently sloping, grassy spaces and mature trees known as Green Park, the soul of Cameron Park. An arched front door opens to a vestibule with French doors on two sides, one leading to the Living Room and enclosed Side Porch, the other through the Dining Room, past a Breakfast Nook to the Kitchen. The park location, veranda, architectural details, floor plan and garage/workshop all invite and will reward needed renovations, updates and possible additions to the existing house. 4 bedrooms. 2 baths. 1,971 sqft. 0.21 acre lot. $465,000. Co-listed with Hilary Stokes. view > flyer, floor plan, mls and neighborhood info.$475,000. CD 5/27/15. Escape to this enchanted, updated cottage almost hidden in plain sight on 0.37 scenic acres near the Oakwood Dog Park and Conn School. Relax outdoors on two porches (one screened) and the back deck. Indoors, enjoy the bright, open floor plan, new windows, arched passageway, HW floors, remodeld kitchen and baths. The natural landscaped yard, with 60 year old Azaleas, Camellia & roses, includes plenty of parking, numerous gathering/play spaces and a 14x10 ft wired shed. 2 bedrooms. 2 baths. 0.37 acre lot.Co-listed Debra Smith. > view flyer, floor plan, neighborhood map, mls info. SP - $292,000. SD - 3/2/15. Just updated versatile 5 BR floor plan with in-law suite options. All new windows, kitchen, heat, air, roof, refinished hardwood floors, 200 amp electrical services, more. Watch sunsets from a one-of-a-kind 37x11 ft covered upper level party porch. A 24x16 ft family room with added windows and an office/hobby room open onto a lower level big brick patio. Park and shoot hoops on large concrete parking pad behind house. Walk to the Crabtree Creek Greenway that connects to NC Art Museum and Umstead Park. 2,171 sqft. 5 bedrooms. 2 baths. $189,000. Co-listed with Mickey D'Loughy. >view flyer, floor plan, mls info. SP - $183,000. SD - 3/5/15. A bungalow is reborn in a National Register, not local, Historic District minutes from downtown. Walk to Roanoke Park and Five Points. A Family Room, new Kitchen, half bath and upstairs MBR with 2 closets, one a walk-in, were added in 2003/5. A 4th BR, large Bonus Room & full Front Porch were completed 2014. Options for using the original 2 BRs and a rebuilt full bath include in-law suite, office, guest room. Family Room opens onto big patio and fenced, grassy lawn with storage shed. Off-street parking. 4 bedrooms. 2.5 baths. 2,311 sqft. 0.15 acre lot. $457,500. Co-listed with Debra Smith. > view flyer, map, floor plan, mls info,. SP - $457,500. CD - 1/7/15. This enlarged Cape Cod home on a scenic lot and a half in Historic Mordecai has it all. Big bright master suite. Even bigger Bonus/4th bedroom. Sunroom opens onto deck/patio in back. Modern kitchen opens to sitting porch in front. Stone fireplace. Hardwood floors. Bookshelves. Brick paths. Big basement. Garden shed. Brick paved walks and parking pad. Near everything downtown. 3 bedrooms. 2.5 baths. 0.26 acre lot. 2,317 sqft. $435,000. Co-listed with Mickey D'Loughy. > view pics & prose, mls info, flyer, neigborhood map, floor plan, survey. SP - $440,000. CD - 1/5/15. An architect’s dream. A naturalist’s retreat. A family’s hideaway overlooking Fallon Park, near Crabtree Greenway. Walk to Joyner and Our Lady of Lourdes schools. Big, bright rooms with hardwood floors, fireplace. Morning sun in back, afternoon in front. Stone paths, exotic plants, brick patio, fenced yard, kid's tree house, basketball/tetherball pad. Indulge your inner architect planning a great room (remove a wall), parking options, house additions. 3 bedrooms. 2 baths. 0.37 acre lot. 1,655 sqft. $395,000. Co-listed with Debra Smith. > view flyer, neighborhood map, pics & prose, floor plan,mls info. sp $380,000. CD - 11/17/14. Feel your stress level decrease as you cross the redwood bridge into your private oasis. Designed by architect Don Statham, this home is a hidden retreat among mature landscaping. Soaring 11 foot ceilings welcome natural light through multiple skylights and floor to ceiling windows. Black walnut kitchen cabinets and gas range are but two of the many highlights of this treasure. 3 bedrooms. 2 baths. $459,500. Co-listed with Hilary Stokes. >view flyer, pics & prose - page 1 - page 2 - page 3, , mls info, floor plan. SP $440,000. CD - 10/14/14. Walter Clark House, c.1895. Contemporary, Victorian, whatever your decorating style, all can compliment and be complimented by this elegantly restored Queen Anne home located on one of the most scenic corners in Raleigh. Grand center hall. Most rooms over 16x16 ft. 4 bedrooms plus office/guest room with full bath. Sun room, deck, semi-private side lawn plus separate off street parking. 4 bedrooms. 3 baths. 0.25 acre lot. $725,000. Co-listed with Debra Smith. > view flyer, neighborhood info, floor plan, pics & prose -page 1- page 2 - page 3, mls info. * Sellers considering putting back on market in the spring. Unique. Screened back-corner porches up and down open to bright, spacious side halls. Big rooms. Great, versatile floor plan. Easy options for adding a 2nd bath upstairs creating a true MBR suite. Needed repairs and optional updates of dated big kitchen and 2 existing full baths may be eligible for current NC rehab tax credits if act quickly. New AC up 2014. Rear alley access. 3 bedrooms. 2 baths. $350,000. Co-listed with Hilary Stokes. >view flyer, neighborhood info, pics & prose - page 1 -page 2 - page 3, mls info, floor plan. SP - $360,000. CD - 7/24/14. Johns-Underwood House, c.1924. This Craftsman style bungalow, bigger than it looks, offers a great opportunity to update earlier renovations, possibly using NC Rehab tax credits. A big yard invites expansion. The 1,335 sf Living Area excludes, because of limited ceiling heights, a 495 sf finished loft,used as a bedroom/bath suite. Detached workshop. Selling as-is. 3 (4) bedrooms. 1 (2) full baths. 0.19 acre lot. $310,000. Co-listed with Debra Smith. > view flyer, neighborhood map & info, pics & prose - page 1 - page 2 - page 3, mls info, floor plan, sp - $295,000. CD - 6/30/14. Unique character - neo-Classical, true 2 story 1920 house with demi-lunes over 6/6 windows. Nice options -price includes allowance to create 3 BRs on 2nd floor which is currently a huge master suite. Proposed 3rd BR could be 2nd full bath. See plans, pics and prose. High ceilings, built-in bookshelves, finished 373 sf heated attic not included in 1,939 main sf. Walk everywhere.. 3 br. 1.5 baths. 0.18 acre lot. $385,000. Co-listed with Debra Smith. > view flyer, neigborhood map & info, pics & prose -page 1- page 2 - page 3, mls info, floor plan, floor plan - option summary, options. SP - $372,000. CD 6/19/14. This 3 bedroom, bright, open gem has it all on 0.32 acres with a brick walk and distinctive portico. The aha moment is when you step inside. The entire left side is a great room with hardwood floors leading back to a big deck and modern kitchen. New windows, roof, HVAC, appliances and much more in 2007. Crabtree Greenway, Lions and Oakwood (dog) parks all nearby. 3 bedrooms. 1 full bath. 0.32 acre lot. $195,000. Co-listed with Debra Smith. > view flyer, pics & prose, mls info, floorplan, SP - $192.500. CD - 6/9/14. One of a kind floor plan in Founders Row opens front-to-back. Top of the line kitchen, bath and new hardwood floors were part of a recent remodeling that converted a second bedroom into a window-walled rec/entertainment space. A private porch overlooks a courtyard with green space and brick paths leading to gated parking. Located steps away from ArtsSpace and new Red Hat headquarters. 1 bedroom. 1.5 baths. $229,900.Co-listed with Hilary Stokes. >view pics & prose - page 1 - page 2 - page 3, mls info, floor plan, original brochure & site plan, SP $223,500. CD 5/30/14. Award winning 1993 ranch features accessible design for all stages of life, soaring ceilings, open spaces, arches, display niches, plant shelves, stained glass accent windows, hardwood floors, wrap-around porch, 3 ft wide doors, roll-in shower, ground level access, tankless hot water heater, trestle covered back porch, driveway on quiet cul-de-sac in local Oakwood Historic District. 1,628 finished sqft. 3 BR. 2 baths. $385,000. Co-listed with Debra Smith. > view flyer, neigborhood info, floor plan, pics & prose - page 1 - page 2 - page 3, mls info, article-Brief Tour, article-Universal Design. SP $375,000. CD 4/28/14. A big corner lot nicely frames this 1925 bungalow. Bright, open living-dining spaces lead to a modern kitchen-breakfast room with vintage character. A true master suite upstairs includes walk-in closet and bath with new basket-weave Carrera marble floor. Lot’s new since 2007 including roof, HVAC, tankless H2O heater. 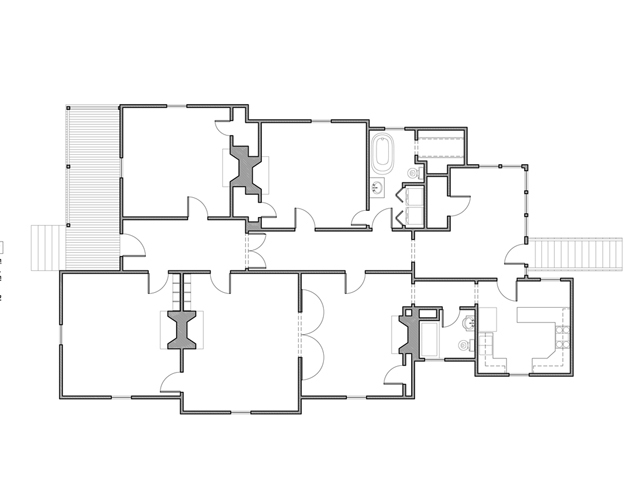 Layout offers options for a 1st floor in-law suite and future expansion. 3 br. 2 baths. 1,673 sqft. 0.17 acre lot. $365,000. Co-listed with Debra Smith. > view flyer, neigborhood map & info, pics & prose - page 1 - page 2 - page 3, mls info, floor plan. SP $335,000. CD 3/27/14. A 0.4 acre elegant 1917 Cameron Park estate home with grand floor plan. Two sun rooms, built-in book shelves, w/u attic, full basement, dark room, garage, English rose garden, newer HVAC and water heater, slate roof. NC Rehab tax credits may be available for updates. Fourth generation home built by George H. L. White, founder of White Dairy Products Company. 3,048finished sqft. 4BR. 2.5 baths. $768,000. Co-listed with Hilary Stokes. >view flyer, neighborhood info flyer, neighborhood info, floor plan, mls info, pics & prose - page 1 - page 2 - page 3. SP $749,500. CD 3/14/14. First floor, corner condo with private, enclosed patio and garden area. Bright, open floor plan inside. Outside, handsome brick walls and geometric brick roads and pathways evoke the ambiance of a stately, turn of the century enclave. Uniquely good location - walk to Glenwood South, Cameron Village, Five Points. Swim in the BP pool. Play most sports in adjacent Fletcher Park. New carpet, counters, paint, HVAC (2011). See pics and prose for history of Bishops Park. 1,016 finished sqft. 2BR. 2 baths. $189,500. >view mls info pics & prose - page 1 - page 2 - page 3. SP $189,900. CD 2/7/14. This versatile, 1920s fixer-upper is nestled among the solid-brick, stately Pullen houses on a scenic Historic Oakwood block. Nice natural light, hardwood floors, back porch up and down, MBR options. Serious renovators only. House needs significant work including structural repairs, most systems and exterior painting. Floor plan and Smallman pre-inspection report are available. 3 br. 2 baths. 1,794 sqft. 0.08 acre lot. $275,000. Co-listed with Debra Smith. > view pics & prose - page 1 - page 2 - page 3, mls info, floor plan. SP $242,500. CD 12/13/13. A lovingly restored 1960s American DOWNTON ABBY located in a national (not local) historic district. Invite your English cousins to visit your 3 levels, 6 BRs, 3 full and 3 half baths, LR, DR, FR, library, 3 fireplaces, HW & tile floors, sun room and deck on 0.72 scenic acres. Start your own rock band in the full basement or 2 car garage. 1st floor MBR plus possible in-law suites up and down. 3,592 sqft finished on 1st and 2nd floors plus 2,579 sgft partally finished on lower level. 6BR. 3 full baths. 3 half baths. $379,000. Co-listed with Debra Smith.>view flyer, neighborhood info, pics & prose - page 1 - page 2 - page 3, MLS info, floor plan, Historic Distirct map, Historic District Summary. Go to RHDC.org for detailed info on historic districts and to see Longview Gardens nomination as a historic district . CLOSED - SP $368,000. SD 11/20/13. One of the all brick "Pullen Town" houses,this home was built by Richard Stanhope Pullen who donated the land for what is now NC State University. The renowned "pick of the litter" 0.34 acre, now private lot was once a community garden for all the nearby Pullen houses. Fully restored the home has 3,500 finished sqft with 4 BR and 4 full baths including a full 2nd floor master suite and optional 1st floor master BR. The daylight, walk-out lower level includes a handsome brick grotto-like party room and large unfinished studio/workshop space. Purchase - $625,000. Rent - $2,400 monthly. > view pics & prose - page 1 - page 2 - page 3, mls info - for sale, mls info for rent, floor plan, survey. RENTED - 11/15/13. This stately house, together with the adjacent Montfort Hall, c.1858, provides a grand entry into the Boylan Heights Historic District. A classic 1917 four-square plan includes a modern kitchen, large MBR suite up and in-law suite options down. The surprise is a Berkeley-like Solarium that overlooks a large garden, decks and potting sheds with oriental touches. LR, DR, Library/Study. Roughly finished w/u attic with 4th full bath not included in 4,029 finished sqft. 4BR. 4baths. $595,000. Co-listed with Hilary Stokes. >view flyer, neighborhood info, floor plan, pics & prose - page 1 - page 2 - page 3, mls info. CLOSED - SP $558,000. SD - 9/27/13. The exterior has been repainted after carpentry repairs were made by SEPACO. Annie M. Riddle House, ca1891.Lots of options. Combine NC rehab tax credits and your dreams renovating this handsome house with a stately porch and off street parking in heart of Oakwood. Indulge your inner architect and expand as neighbors have done. Or move in today, fix and paint exterior, do the rest later. Tall ceilings, big, bright rooms, zoned gas HVAC-2003, roof-2006. . 2,160 sqft finished. 3BR. 2 baths. $319,500. Co-listed with Debra Smith.>view flyer, neighborhood map & info, pics & prose - page 1 - page 2 - page 3, floor plan, MLS info CLOSED - SP $310,000 SD 9/12/13. The Annie Sallie Bailey House, c.1896. Located on the most scenic street in Oakwood, it has been painstakingly restored stained glass bordered windows, 4 panel doors, exquisite mantels & much more. Versatile floor plan has LR, DR and 3 BRs, all over 15x14 ft. Sensitive updates include sunroom, kitchen, 2 baths, one part of a true MBR, daylight basement ideal for studio, workshop. 2,100 sqft finished. 3BR. 2 baths.$443,000. Rent $2,100. Currently vacant. Co-listed with Debra Smith. >view flyer; pics & prose - page 1 - page 2 - page 3; floor plan; neighborhood info; mls info - BUY or RENT. RENTED $2,100/M. 8/8/13. M. A. Mosher House c.1907. Surprise. The Neoclassical Revival exterior hides over 3,000 finished square feet, 3 bedrooms, 3 full baths on 3 levels. First located on the corner of N. East St, the then one story house was moved by Mosher who built the house next door. The wrap-around front porch looks out on one of the most scenic blocks in Raleigh that was featured in a 1990's movie with Gregory Peck and Lauren Bacall. The versatile lower level could be a 2 bedroom in-law suite or apartment. $495,000. Co-listed with Hilary Stokes.>view flyer, existing floorplan, 1st floor MBR option 1, option 2, option 3, mls info, pictures & prose - page 1, page 2, page 3;, neighborhood info. CLOSED SP $415,000. SD 6/25/13. ’s carpenter gothic architectural masterpiece has soaring ceilings in the great room and both bedrooms. Built in 1995 for Kay Olson, it is hidden away on a quiet cul-de-sac on the grounds of the old Fallon Florist greenhouses in the Historic Oakwood neighborhood. Gathering areas include porch, patio, side lawn and sky-lighted sun room. See pics and prose. 2 bedrooms. 2 baths. tmls#1886832. $335,000. Co-listed with Debra Smith.>view flyer, floor plan, neighborhod map, pics & prose - page 1, page 2, page 3, mls info. CLOSED - SP $321,500. SD 5/31/13. Impeccable. This sparkling diamond was rebuilt and enlarged as a long term family dream home that retains the character of a 1923 bungalow. The kitchen and MBR are regal. The indoor elegance is matched by the warmth of the outdoor kitchen and gathering space where a large stone fireplace anhs. d rough cut beams evoke memories of historic lodges of the West. 2,429 sqft. 3 bedrooms. 2.5 battmls#1864570. $585,000. Co-listed with Hilary Stokes.>view flyer, neighborhood map & info, floor plan, Improvements, MLS info, pics & prose - page 1 - page 2 - page 3. CLOSED - SP $575,000. SD 4/24/13. Completely rebuilt in 1993 by the Oakwood neighborhood association. The 3 BR, 2 bath home includes a true MBR and open kitchen/family room. Built in 1879, old house character is retained with 2 sets of French doors opening onto big front porch, 4 decorative fpls, center hall. A brick driveway leads back to a privacy-fenced, two-tiered Georgetown patio/garden with a hot tub, pond. Next door to the renowned gardens of the "Rose Cottage" at 115 N Bloodworth St which is pictured below (scroll down). 2,141 sqft finished. 3BR. 2 baths. $435,000. Co-listed with Debra Smith.>view flyer, neighborhood map & info, pics & prose - page 1 - page 2 - page 3, floor plan, MLS info CLOSED SP $418,5000. SD 4/18/13. Loft-like openness in a remodeled classic bungalow. 2 owner suites. Open kitchen/FR plus LR and DR. Great expansion potential. Big concrete drive. Sellers are a designer couple who purchased home in 2005 when undergoing major rehab. Located in scenic national historic district that overlays and extends beyond local Oakwood historic district. Covered back porch could be screened. Walk to dog park, restaurants, shops, theater, museums, downtown. 2 bedrooms. 2 baths. 1,508 sqft. Tmls#1873182. $329,500. Co-listed with Debra Smith.>view flyer, neighborhood map & info, pics & prose - page 1 - page 2 - page 3, floor plan, MLS info CLOSED - SP $321500. SD 3/27/13 * Oakwood National (not local) Historic District. Located in the heart of Historic Oakwood with big yard, open floor plan and off street parking, this is an ideal starter home to move in and later expand, or it is a picturesque nesting place to simplify your life today. Earlier remodeling created a great room feel with an updated kitchen. Recently rented, the interior needs some repainting. Gas HVAC new in 2009. Walk everywhere. 2 bedrooms. bath. 802 sqft. Tmls#1873265. $225,000. Co-listed with Debra Smith.>view pics & prose, floor plan, neighborhood & map, MLS info. - CLOSED - SP $230,000. SD 3/6/13. The Briggs-Argo-Aycock House, c.1881. Since 1998, the late Raymond Rodgers, aka Chef Rameaux, and his wife, Peggy Beasley-Rodgers, have painstakingly restored the grandeur of this 4,879 square foot house. The nearly 40 ft long "professional" kitchen & family room, flanked by decks, gardens and a Pergola covered brick patio, is the heart of this home. Ideal setup for B&B subject to public approvals. Photographs by Jerry Blow. 5 BR, 4.5 BA. 4,879 sqft. mls #. $850,000. CO-LISTED with Hilary Stokes. Contact her at hilarystokes.com or 919-621-2252. >view flyer, neigborhood map & info, floor plan,MLS info, pictures - page 1, page 2, page 3. - CLOSED - SP $797,500. SD 2/5/13. The Newsom-Jones House, c.1924. This celebrated Sears Roebuck catalog home, a bright Craftsman-style bungalow with an enclosed sleeping balcony, has been updated with copper standing seam roof, mahogany front porch decking, HVAC , subway-tile bath with period stained glass windows, refinished floors, paint in and out, storage room. The big but dated kitchen gives buyers future choices. 3 BR, 2 BA. 1,756 sqft. mls #1859618. $325,000. Co-listed with Debra Smith. >view details SP $315,000. SD 11/20/12. This townhouse-like 1.5 story condo is nested nicely in the heart of Cameron Village, an enduring community of shops, restaurants, condos and single family homes. Its development was inspired by a similar developement in Kansas City and the policies of the Urban Land Institute. Accordingly you can walk to the Public Library, NC State University, Fletcher Park, the Glenwood South entertainment district, Cameron Park, Hayes Barton. 1 bedroom. 730 sqft.mls#1826402. $110,000. Colisted with Hilary Stokes. >view details SP $108,000. sd 9/10/12. Hulda Pakula House c.1928. New windows, roof, baths and gourmet kitchen are part of extensive renovations since 2005. Lots of light. Nice flow to deck, patio and fenced yard. Detached workshop/studio could be converted back to a 2 car garage. Located on one of Raleigh’s most scenic streets and architecturally eclectic blocks, the gambrel roof, brick and stucco contrast nicely with its Victorian and Craftsman style neighbors. 3 bedrooms, 2 baths. 1,736 sqft. $385,000.Co-listed with Debra Smith. > view details. SP $382,500. SD 8/24/12. The renowned “Rose Cottage” and gardens, both new since 1995, are a Historic Oakwood treasure frequently featured in national magazines. Built as a gathering place for grandchildren, the “not so big house” has a versatile floor plan, wood stove, transom windows. The garden has enchanting hideaways, herringbone brick paths, a 15x11ft cottage, year round tapestry of color.1,489 sqft plus 198 sqft wired garden cottage/studio/workshop. 2 bedrooms. 2 baths. tmls#1840296. $365,000. Co-listed with Debra Smith.>view details SP $370,000. SD 7/19/12. The restored Henry Ivey House c.1900 enjoys a manor-like setting on a 0.48 acre picket-fenced lot with a circular drive, screened porch, trellis, brick patio. A wide center hall leads back through a sun room to a big, bright, open space that includes the kitchen and multiple options for dining, breakfast, True master suite, walk-in closet, in-law suite options.2,450 sqft plus 411 sqft basement rec area/workshop. 3 bedrooms. 2 baths. tmls#1828793. Co-listed with Debra Smith.>view details SP $497,500. SD 6/25/12. Rare in Oakwood - a big bright garage / studio / workshop plus a bright bungalow with a history. Move in today - freshly painted and carpeted, gas heat and air, 200 amp electrical. Tomorrow remodel middle aged kitchen, bath possibly using NC rehab tax credits. Sqft and purchase price include finishing utility room. Motivated sellers open to negotiating as is price.The "Green House" built in 1933 was the home of the on-site caretaker of the next door Fallon Florist greenhouses, now being sold by his son who grew up in the home. 2 BR. 1 bath. 1,046 sqft PLUS 352 sqft bright garage/studio/workshop.$225,000.mls#1825096. > view details CLSOED - SD 5/30/12. SP $206,000. Breathtakingly open floor plan is created by the extraordinary new, enlarged kitchen that includes butcher block counters and skylight. Indulge your country mouse on a 0.24 acre arboretum–like lot nestled in the middle of an urban brick bungalow heaven with nearby dog park, shops, eats, more. Recently new - roof, HVAC & ducts, windows.Big front porch, back deck, concrete drive bordered by low standing stone wall. 937 sqft. 2 BR. 1 bath. $225,000. mls#1826366. Co-listed with Debra Smith. > view details. CLOSED - SD 5/24/12. SP $220,000. Lots of nice surprises. Think of this as a 3 BR, 1,240 sqft restored bungalow that includes a bright 303 sqft attic used as a master suite and office. (Living Area excludes attic because ceiling just under 7 ft.) Eat-in kitchen has retro diner booths and lots of cabinets. Great 173 ft deep fenced corner lot has low deck, new shed, level lawn and parking. Partial basement. Nearby park for dogs, kids and much more. 939 sqft plus 303 sqft in attic. 3 BR. 1 bath. $225,000. tmls#1827297. Co-listed with Debra Smith. >view details. CLOSED 4/27/12. sp $215,000. Classic 3 BR bungalow with great floor plan and picturesque brick walks and driveway across from school park. Nice kitchen, dated bath – NC Rehab Tax Credits possible for future updates. Ditto removal of asbestos siding. Deep terraced yard with brick shed and big fig tree backs onto creek across from new homes being built in Rosengarten Park. Daylight attic and partial basement. 1,070 sqft. 3 BR. 1 bath. mls#1817475. > view details. CLOSED SD 4/9/12. SP $230,000. Renovated and enlarged, this all brick bungalow is an engaging architectural potpourri with a SoHo kitchen, arches, niches, hardwoods, French doors, broken terrazzo tile porch, and craftsman style deck. The open, versatile floor plan includes a 2nd flr master suite and large family/rec room/office that could be an in-law suite, a 1st flr sun room/office/den, basement workshop/exercise room. . 3 BR. 2 baths. 2,476 sqft. mls#1804569. $395,000. >view details. CLOSED SD 3/15/12. SP $387,250. This grand Oakwood four-square is a fusion of classic old and MOMA new that commands a 203 ft deep lot. Built in 1921, the house was moved in 1955 from its original location facing N Person St. The total 3,105 sf finished area includes a detached 261sf finished artist’s studio/office new in ’06. Extraordinay kitchen, new in ’08, has a Viking range and sunroom, breakfast & craft spaces. 2nd floor MBR w/sitting room. Easy options for 1st floor MBR/In-law suite. Total rehab added columns, MBR suite, 3.5 baths in ‘93. Roof new in ’11. 4 BR. 3.5 baths. mls#1812967. $625,000. N&O ARTICLE - page1 - page2 > view details CLOSED SD 3/1/12. SP $586,250. This architect’s home, a restored bungalow with big, bright rooms, has a gut-rehabbed modern kitchen & bath and a den/office/study that could be a 3rd bedroom. A long central hall nicely separates the formal areas from the bedrooms and provides space for a family photo gallery. A winding brick walk leads to the front porch and a long driveway provides access to a patio near the kitchen in back. Roof and HVAC new in 2007. 2 BR. 1 bath. 1,193 sqft. >view details. CLOSED SD 1/27/12. SP $279,000. "Southern and SoHo" is how this house was affectionately described in a 2006 Boston Globe article by its owner and former occupant, then and now an arts reporter for the New England paper. Its former owner, an architect, turned two small sittings rooms into a spacious great room with built-in bookshelves. She exposed a masonry chimney, converting it into a twisting salmon-colored sculpture. Still Southern and SoHo, the home awaits an equally unique owner. Recently refinished floors and repainted inside and out. 2 BR. 2 baths. 1,389 sqft. mls#1806960. >view detail - CLOSED SD 11/21/11 - SP $247,000. The J. T. Moore House, c. 1893. This elegant renovated home, with its long central hall, formal rooms and library is a frequent Triangle gathering-place for musical, political and neighborhood groups. A southeast facing sunroom, and a wrap-around porch in front and deck in back overlook a large 0.29 acre lot with a large brick patio/parking area. The 3 BRs include 2 on the 1st floor, one a true master. The versatile upstairs BR and adjacent hobby room could be a rec or family room. New heat & air in January 2011. 2,300 sqft. 3 BR. 2.5 baths. mls #1793490. > view details - CLOSED 11/1/2011 SP $430,000. SELLER HAS DECIDED TO REFINANCE.The Walter Clark House, c.1895. Located on one of the most scenic corners in Raleigh (Gregory Peck and Lauren Bacall made a TV movie across the street in the 1990's), this sensatively restored Queen Anne house has sawnwork, scalloped siding and a carved sunburst in the porch gable. The entrance foyer is equally grand, with pocket and double doors opening to the living room and parlor/library/family room, and columns leading back to a modern kitchen, sunroom and adjoining deck (added in 1991), a large bedroom, two full baths and an office, all steps away from offstreet parking. The empty nester sellers are downsizing. 4BR. 3 BA. 3,843 sqft. mls #178664. $750,000. >view updated pics & prose, details. A uniquely open floor plan, coveniently located near downtown Raleigh is why the relocating sellers bought this 1994 home tucked away on a 0.28 lot in the established Brownstone subdivision. Recent improvements include a semi-finished garage used as a video-production studio, new heat & air, and handsome wood laminate floors. 3 BR. 2 baths.1,500 sqft finished. mls#1781089. $141,700. Co-Listed with Rebecca Campbell. Contact her at 919-264-6235 or Rebecca.Campbell@pruysu.com. > view floor plan, MLS profile sheet and pics & prose.SP $145,000. CLOSED 7/28/11. The bungalow style is timeless while much of the 1920 bungalow is new since 2005 including the kitchen, a true master suite w/walk-in closet, 2nd bath, main roof, gas heat & air, deck. High ceilings. Tall windows. Big rooms. Five are 15x13 ft or bigger. The kitchen opens onto a deck overlooking fenced back yard with wired workshop. 1,800 sqft finished. 3BR. 2 baths. mls#1751742. $350,000. Co-Listed with Josie Hall. Contact her at 280-3200 or www.JosieHall.pruysu.com. >view details CLOSED 6/23/2011 SP $345,000. The extraordinary openness of this updated home is matched by parks and greenways that surround the quiet, hilly, inside-the-beltline, hidden-away oasis of mature trees and large lots, located minutes from downtown, Trader Joes, colleges and NC State. Kitchen sliding double doors open onto a fantastical yet practical fenced backyard with a lush lawn, tree house, chicken coop, decks and brick patios. It is no surprise that this is special home of two architects and their two boys who are relocating to Virginia. 3 BR. 1 BA. 1,400 sqft. BUY mls#1789759. $257,900. RENT mls#1793473. $1,250.> view details. Built in 2002. A breath-taking great room with a wall of windows opens into winding stone-bordered Georgetown garden in back. A big front porch overlooks your own creek in front. The recently finished 3rd floor offers a 4th BR/office plus a 19 foot long bonus room both with built in shelves and desks. 2,368 sqft. 4BR. 2.5 baths. mls#1729198.$425,000. >view details. SP $415.000. CLOSED 4/1/11. A sauna and screened porch set a sublime tone for this 4 bedroom bungalow built in 1908 and completely renovated since 2005 with a versatile floor plan that includes an study/office and options for a basement apartment plus a rec room or workshop. 2,230 sqft finished. 4BR. 2.5 baths. mls#1742026. $425,000. > view details. SP $386,500. CLOSED 3/23/11. Completely renovated home with new appliances, washer/dryer, new HVAC system, refinished hardwoods throughout, lots of natural light. Also, a large yard, spacious deck, private driveway and mature trees. Amazing established neighborhood inside the beltline. 5 minutes to downtown, 15 minutes to RDU (airport.) Walk to Oakwood Dog Park, Lions Park and Raleigh Greenway. On bus line. Pets welcome with approval and fee. Available May 1. Offering $150 toward first month's utilities. 3BR, 1BA. $1130/Month. Email Krista Padgett for more. > view details. A scenic lily pond with a pet turtle, a 3 car detached garage, a 1.26 acre lot, a surprisingly open floor plan in a 50’s brick ranch with hardwood floors, all are located just outside the city limits a mile north-east of the I-440 beltline. This is the unique the "diamond-in-the-rough" opportunity for naturalists, do-it-yourselfers, gear heads, contractors. The garage has a walkup unfinished attic. 1,406 sqft. 3BR. 2 batths. mls#1731583. $99,500. >view details. SP $70,000. CLOSED 3/4/11. Designed in 1954 by George Matsumoto and originally located above Crabtree Valley in Raleigh, the Poland House was moved in 2002 to 24 rolling acres overlooking the Little River Reservoir in Bahama, NC, and updated by local architect Ellen Cassilly. Bahama, NC, is north of Duke University in Durham County near the Falls Lake Reservoir and the Treyburn Subdivision. 2 BR. 2 BA. $1350/month. Email Don DeFeo or phone 919.225.5400. >vicinity map. >view details. RENTED. Walk to Five Points, Glenwood South and Cameron Village from this completely renovated 1920 bungalow with a center hall floor plan, 4 decorative fireplaces, a private master suite with a sitting room/office & walk-in closet. A big deck overlooks the 0.17 lawn with a winding paver-stone walkway leading to a 16x12 ft shed/studio/workshop. 1,790 sqft finished. 3BR. 2 baths. >view details. CLOSED 11/30/10. SP $382,500. The Charles Goodwin House, c.1896-7. Lots of surprises. Elegant 12 ft ceilings, transom-topped double doors and long central hall blend nicely with the arches and openness of a newly remodeled DR, parlor/FR and kitchen. The versatile plan has a LR, 5 BR’s and 3 baths offering options for an in-law-suite and office/studio. The big 0.24A fenced lot has patio, workshop and parking for 3 in back. 2,894 sqft. SALES PRICE $515,250. CLOSED 12/6/10. A mid-century modern treasure, this home on a 0.54 acre landcaped lot has been sensatively restored by the sellers/former occupants who are preservation professionals. The 50's dinette set and matching salt and pepper shakers are negotiable. The new 6-burner gas range conveys along with the other new appliances and the original built-in charcoal grill. Walk to Francis Lacy and Martin schools. Rex Hospital and the I-440 beltline are also close by. 2,150 sqft. 3BR. 2 baths. mls#1734968. $395,000. >view details. SALES PRICE $380,000. CLOSED 10/29/10. The surprise is that the sellers are expecting triplets. No surprise that this is the home of two architects. The open, versatile floor plan of this sensitively restored 1930 bungalow features a modern kitchen and bright sunroom / studio / possible 3rd bedroom, overlooking a fenced backyard with a brick patio, fish pond and a great play yard. Walk to nearby retaurants, parks, downtown, NC State University and the NC Farmers Market. An old garage / workshop with parking options in back, and partial basement with concrete floor are a versatile bonus. 1,466 sqft. $275,000. tmls#1713758. > view details SALES PRICE $250,000. CLOSED 10/6/10. A two-tiered Georgetown garden with a hot tub, an open family room kitchen, a true master suite, are just some of the features of this 1879 home. Completely rebuilt in 1993 by the Oakwood neighborhood association, the home retains its old house character with a center hall floor plan and 4 decorative fireplaces. 2,141 sqft finished. 3BR. 2 baths. $450,000. >view details. RENTED 9/24/10. This 1875 solid brick home is extraordinary. Renovated and expanded in the 1980s as a 2,146 sqft home for a family and its middle eastern art & sculpture collection, it was more recently expanded by finishing as a studio the 559 square foot garage, also added in the 1980s. Its visual layering creates the "spatial and visual music" described by Sarah Susanka in her new book "Not So Big Remodeling". It keeps good company located across the street from two of the grandest homes in downtown Raleigh. 0.26 acre fenced lot. 2,705 sqft finished. 3 bedrooms. 2.5 baths. $495,000. tmls#1694096. > view details. SP $478,000. CLOSED 5/27/10. This sensitively restored 1925 bungalow and its next door twin were once part of the Whitley estate now listed on the National Register. A spectacular octagonal sunroom (335 sqft not included as finished sqft) and a wrap-around back deck overlook a level 1.12.acre corner lot, formal gardens and 3 room wired workshop/potting shed/studio. Walk a few blocks to the town center and public library. Easy comute to Raleigh and RTP via new 64 Bypass. 2,300 sqft finished. 1,252 unfinished. 3 bedrooms. 2.5 baths. Tmls# 1692465. $225,000. Co-listed with Don Mathis, 919-271-1990. > view details. CLOSED 1/13/10. SP $225,000. Now an artist’s home and studio, this 3 BR/3bath home is itself a work of art with a vaulted-ceilinged great room that catches the morning sun and opens onto deck overlooking the landscaped 0.16 yard. A brick parking pad opens onto a quiet cul-de-sac in front, offerring grade level wheel chair access. The lower level studio could be converted back to a rear-entrance garage. Master BR on the main level and lower levels.. 2,051 sqft finished. plus 317 sqft studio space and large walk-in crawl space storage. $289,900. >view details. CLOSED 1/15/10. SP $275,000. This bright restored bungalow with a partial daylight basement includes a screened porch overlooking a deck and a 0.18 acre fenced yard. Close before November and may be eligible to earn the $8,000 US tax credit available to buyers who have not owned a house in the last 3 years. It is located in the national, not the local, Oakwood Historic district (the overlapping national district includes most of Franklin Street not included in the local district). It is therefore eligible for NC Rehab Tax credits but not subject to district commission approval of exterior improvements. 2 bedrooms. 1 bath. 1,230 sqft. tmls#1688738. $295,000. >details CLOSED 11/19/09. SP $286,875. Boylan Heights, 315 S. Boylan Ave , Raleigh, NC 27603 - RENTED. As only the second owner-occupants of this stately 1924 home with 3 finished floors and a full unfinished daylight basement, Carrie Kniowles and Jeff Leiter have added spectacular spaces while sensitively retaining and restoring its originial character. The versatile floor plan has LR & DR plus 3 spaces that could be used variously as offices, studios, nursery, guest or 4th bedroom. See flyer for more options. Offstreet parking near kitchen. 3 br. 2.5 baths. 3,117 sqft. Tmls #1646469.. > view details. RENTED 2/2010. Build your dream home on one of these three level lots. Walk to Cameron Village, NC State University, the newly opened Shoppes at Oberlin Court, the Raleigh Little Theater, the main public library. “Oberlin Village” was formed after the Civil War with homes, churches, businesses and schools, including one of the first publically supported Raleigh schools in 1877. Steve Jellicorse with MorningStar Homes, Inc., is available to discuss options that include bringing your own builder and using plans sensitively drawn for the site by David Maurer Architects. Tmls#1675403. >flyer, CLOSED 11/18/09 SP $385,000. Two, yes two, porches and most windows overlook the city skyline and the brick sidewalks, cobblestone alley, ArtsSpace and the City Market shops & restaurants that are part of the Moore Square arts district. Built in 1986, Founders Row is the "old" new Raleigh with garden patios, courtyards and gated-parking all easily accessible from your end-unit condo located on the 2nd and 3rd floors. 3 bedrooms, 2.5 baths. 1,440 sqft. $325,000. > preliminary pictures. RENTED 2/2010. The park-like view from your 2nd floor porch and 18 ft long living/dining room includes modernist single family homes across the street, all part of the incomparable live-work-play Cameron Village community. Its development was inspired by a similar developement in Kansas City and the policies of the Urban Land Institute. Street parking in front. Assigned parking in back, close by your kitchen door. Lots of updates. Public library, parks, YMCA, NC State, much more all nearby. 1 bedroom. 566 sqft. Tmls#1698216. $115,000. >words & pics, mls info. RENTED 2/2010. Price reduced to $275,000. Sellers are motivated. Exquisite private retreat setting on 2.24+ acres. 10 min. from RDU and RTP. 1978 contemporary passive solar ranch with 2.5 car garage and lots of privacy. Cedar siding, skylights, Lindahl Cedar glass room. Low county taxes and no HOA fees. Garage. Wake County schools. Easy 540 access. Co-listed with Debra Smith. 3BR. 2BA. 2,160 sqft. Tmls #1678844. $275,000. >view flyer, mls info, pictures, more. ITB. The pick of the litter. Your 3rd floor balcony, LR and bedroom overlook the the city skyline and the Person Street shops including Conti's Italian Grocery, Marsh Woodwinds & Krispy Kreme. You are surrounded by the Oakwood & Mordecai Historic neighborhoods, Peace College, the new Seaboard Station shops and much more. 800 square feet. 1 BR/1.5 Baths.tmls#1616381 >view details CLOSED 7/22/09. SP $125,000. Just 5.5 miles from downtown Raleigh is this great ranch with 3 BR and 2 baths that is bright and open on .41 acres. Large deck overlooks a backyard that is a nature lovers dream – set aside the morning paper and instead grab your binoculars. 40+ different species of birds frequent the backyard. Gracing the landscape are more than nine species of ornamental trees including Carolina Silver Bell, California Incense Cedar, Dogwood, Redbud, and Fringe Tree. Shrubs include Knock-out Rose, Spirea, Viburnum, Weeping Butterfly Bush, Laurel and more. Making dinner? Head to the herb garden. First time homebuyers make good use of the new tax credits. Listed by Debra Smith.Tmls#1655591. $164,900. > view details. CLOSED. A beautifully upgraded, well maintained end-unit Townhome with large yard & many extras. Located in Brier Creek – one of the fastest growing areas in Raleigh. Only minutes from RDU and Research Triangle Park--convenient to shopping and restaurants. Listed by Debra Smith. 2 BR. 2.5 baths. 1,364 sqft. $180,500 + $1000 closing costs. tmls#1627976 >view details CLOSED. Great three bedroom Mordecai area home. Fresh interior paint with hardwoods throughout. Bright kitchen and huge rear deck. Fenced yard perfect for your dog. Near bus route. Refrigerator/washer/dryer all convey. Low maintenance exterior. 1,054 sqft. Listed by Debra Smith. $219,000. tmls#1625744 >view details CLOSED. Nestled in the heart of Budleigh with its breathtaking springtime symphony of Dogwoods and azaleas, this Canterbury Road home and lot are part of the old English character of this classic Raleigh neighborhood. 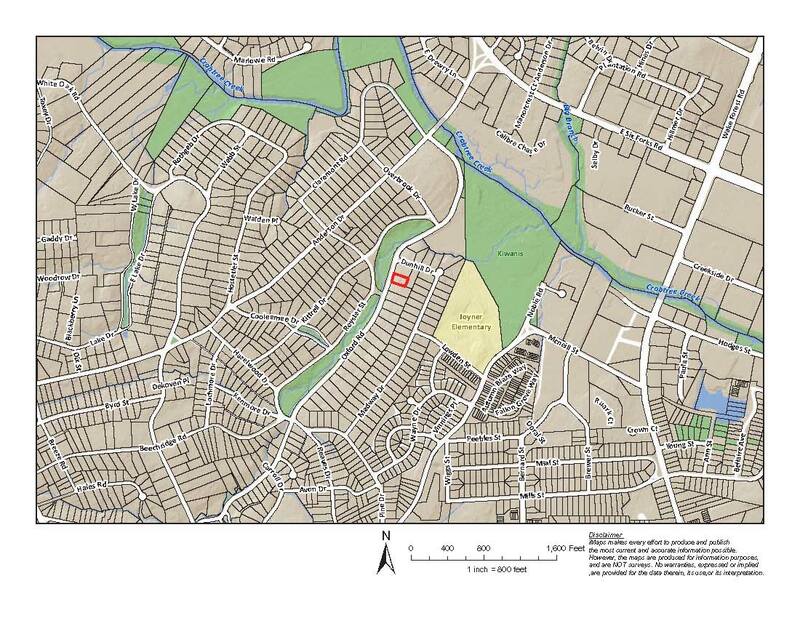 SEE RUMBLINGS for origin of Budleigh and Hayes Barton subdivision names. The house and 0.4 acre yard play well together and flow seamlessly in and out. 0 3 BR, 3 full baths. 2,563 sqft plus 520 sqft unfinished. Tmls#1649101. > view details.. CLOSED 5/18/09. sp $520,000. Think of this as a year round vacation home with a wall of windows overlooking your own private 1.02 acre private preserve, all located near North Hillls midtown, park and greenway with easy inside the beltline access. Recently remodeled, the open floor plan is distinctive and highly versatile, the fixtures top-of-the-line, the electronic systems state-of-the-art. 3 bedrooms, 2 full baths. 3,008 sqft plus 300 sqft unfinished. Co-listed with Debra Smith.Tmls#1651817. > view details CLOSED 5/1/09. $470,000. Featuring two skylights and two balconies, this spacious and bright 2 floor condominium is well located in the heart of downtown Raleigh across the street from ArtSpace. Walk to Moore Square, Lincoln Theater, Progress Energy Center, museums, Capitol, galleries, clubs, restaurants and more. 2 BR. 2.5 baths. $1,200.Contact Andrew Jones at 919-271-5767. >view details. Rented. ITB. East Village NYC meets west Raleigh NC. This 1924 detached Bungalow with the prettiest pink Dogwood tree in Boylan Heights has been stunningly rebuilt in & out equaling the best condo for style and amenities, plus it has a yard and offstreet parking. It is the ultimate “green home” with top quality flooring, doors & siding salvaged from the Habitat Reuse Center . The whole house is Energy Star rated reflecting the new windows, roof, insulation, wiring, mechanical systems & more.1,784 square feet. 3 BR/2 BA. tmls#990083. $449,500. >view details. RENTED. ITB. Look at the pictures to see the extraordinary open, flowing floorplan and vaulted screened porch. Few houses offer such pleasant surprises as does this 1660 sqft, 3 bedrom, 2 bath home located between the the Mordecai/Oakdale and Woodcrest neighborhoods convenient to downtown and the I-440 beltline. Tmls#1602833. $265,000. >view details. CLOSED 7/29/08. sp $247,500. ITB. This classic pre-war (c.1940) bungalow with a versatile, open floor plan and wall of windows can be home to all styles - modernist, traditional, eclectic. Located in the West Raleigh National Historic District, it is a short walk away from the Fred Olds Elementary School, NC State, the Rose Garden, Cameron Village. 3 bedrooms. 2 baths. 2,043 sqft. $357,500. >view details. WITHDRAWN as an active listing. Prominently located on 5 private acres near the American Tobacco Trail that leads to Jordan Lake, this 1994 home has extensive stone work inside and out. Light, bright and open are understatements. This is the hub of the Triagle with Raleigh, Durham and Chapell Hill all roughly equidistant. 3,322 square feet. 3 bedrooms. 3.5 baths. Tmls#996551. >view details. CLOSED 7/28/08 . SP $570,000. ITB. Yet another great floor plan, lot and neighborhood. A vaulted great room with new bamboo floors and a new European kitchen opens onto a large two level deck overlooking a larged fenced back yard. Walk or bike to Combs Elementary School, Lake Johnson or NCSU Centennial Campus. 3 bedrooms. 2 baths. 1544 sqft. >view details. CLOSED 7/18/08. SP $240,750. Floor-to-ceiling windows, arched French doors, central hall, big rooms, tall ceilings, screen porch, south-facing back yard & patio - these are some of the features of this 1909 bungalow. Versatile floor plan has formal areas plus up to 4 BR's. 2,153 square feet. 1.5 baths. Co-listed with Rachel Neal, 919-720-1920. rachelneal@gmail.com. tmls#999429. >view details. CLOSED 6/2/08. SP $375,000. Dog's delight - and you will too - with the new home feel of this 3 BR, 2 bath home fully renovated and enlarged since 1999. The dog's world includes the nearby Oakwood Dog Park, a fenced 0.26 acre yard & 400 sqft unfinished daylight basement. Yours includes a private MBR suite separated from the other 2 BR s & bath by the 21' LR with vaulted ceiling. Great expansion potential. Co-listed with Rachel Neal, 919.720.1920. rachelneal@gmail.com. 1,065 square feet. 3 BR/2 BA. tmls#978370. >view details CLOSED 5/30/08. SP $215,000. Refinished hardwood floors sparkle in the 16'x12' living room as does a new vinyl floor in the 21' long updated kitchen/dining room. Updated bath. Great location new schools and parks. 885 square feet. 2 bedrooms. 1 bath. tmls #994981.>view details. CLOSED 5/15/08 SP $190,000. Brazilian Tiger Wood floors & a MOMA palate inside, pergola covered brick patio & fenced garden outside - this is an exciting yet practical home built in 2005 with lots of upgrades. It is located just blocks from the symphony hall and downtown Fayetteville St. 1,310 square feet. 3 bedrooms. 2.5 baths. Tmls #997991. >download pictures, tmls info, property disclosure. CLOSED 5/9/08. SP $199,000. This uniquely gracious home is located on one of the gently rolling hills of the Woodcrest family neighborhood. A screened porch and deck overlook this 0.28 acre fenced yard. 1,096 square feet. 3 BR/1 BA. mls#990971. >view details. CLOSED 5/5/08. SP $207,500. The Pizer-Abbott House. c.1921. A grand staircase, French doors and arches accent the open floor plan of this 1920s all brick home with a modern kitchen. Big rooms with lots of light - The 19ft long LR and MBR each have windows on three sides. Plusses include garage, screen porch, patio, basement rec room/workshop and expansion options. Great family neighborhood one block away from the newly opened Burning Coal Theater (see Notes above). 1,875 square feet. 3 BR/2 BA. tmls#979918. >view details. CLOSED 4/14/08. SP $425,000. "Cornered" windows provide lots of light and character in a big living room open to the dining area and kitchen. Recent remodeling created a master suite with walk-thru closet, modern bath & separate daylight laundry. The large lot provides options for gardening, offstreet parking, out buildings and expansion. The nearby Oakwood (dog) Park is a second yard for kids & pets. 1,043 square feet. 2 BR/2 BA. tmls#979931. Download flyer, mls info, pictures with words, floor plan and neighborhood map. CLOSED 4/4/08. SP $204,500. This award winning Universal design for disabled access provides a spectacular home for anyone wanting bright open spaces. Soaring ceilings, archways, stained galss accent windows and other details reflect the craftsmanship of Oakwood neighbor and builder Jay Beaman. 3 BR/2 BA. tmls# 958583. >view details. CLOSED 3/13/08. SP $375,000. Immaculate, affordable and so close to downtown! And yet a wonderfully private wooded view in rear with a creek and a yard full of azaleas that will bloom in spring. Amazingly clean and maintained: a definite must see!1,082 square feet. 3 BR/1 BA. tmls#981342. >view details. Listed by Debra Smith. CLOSED 2/27/08. SP $120,000. A two-story piazza evokes the old coastal homes of North Carolina. The open floor plan offers the best of new construction. This impeccable 3 bedroom, 2.5 bath home was built in 2000. It is part of a small enclave of new homes tucked away just outside the local Oakwood Historic District. Custom features include hardwood floors and detailed trim work throughout the first floor. There is lots of storage plus a 600 sq. ft. walk-up attic that could be finished later. tmls#975289. >view details. Closed 2/18/08. SP $468,000. “We wanted an industrial type contemporary home with a warm feeling.” So said the sellers, who completed this their dream home in 2004 based on an original design by their friend, North Carolina artist, Robert Irwin. The stunning 4330 square foot home includes 3 bedrooms, 2.5 baths and a 700 square foot kennel. Located on a pastoral 10 acre lot (horses allowed) with a tranquil pond it is just a 20 minute drive east of the state capital, Raleigh. Pictures by James West. Colisted with Debra Smith. tmls#948607. >view details. SP $1,000,000. Closed 2/15/08. Artists, contractors, sculptors, gardeners, hobbyists, preservationists. Located in the very heart of Morrisville, this one of a kind “country compound” is just a short ride to CISCO, RDU airport, Weston Parkway. The .35 acre garden of Eden includes the restored Dodd-Jones House ca1934, a 4 room, 1400 sqft garage/barn partially heated and cooled and a detached brick hot tub/bath house. 3BR/3BA. tmls#955451. >view details. SP $236,000. CLOSED 1/16/08. This 1905 gem is waiting to be rediscovered and restored. A barrel vaulted portico with a leaded glass arched window and classic columns leads into the large window-walled living & dining rooms. German covelap siding is hidden under asbestos shingles. Be sure to see nearby restorations and new contstruction on E. Hargett and Haywood streets. 3 bedrooms, 1.5 baths. 2372 square feet. tmls#949855. >view details. SP $130,000. CLOSED 12/30/07. This classic 1930 big-boned bungalow has been handsomely restored, and includes a detached picturesque studio/apartment. Large living, dining and bed rooms, plus new kitchen and bath. The front porch is one of the largest in the Oakdale neighborhood of bungalows that adjoins Historic Oakwood. You are a short walk away from the shops and restaurants at Person St. and Seaboard Station, state government offices and downtown Raleigh. 2 BR/1 BA. tmls#958690. >view details. SP $335,000. CLOSED 11/16/07. The V. Otis Parker House, ca 1896, is located on Oakwood’s most scenic block. Words fail to describe this extraordinary floor plan and home painstakingly renovated by Doug and Janet Wellman. 3,222 sq. ft. tmls#938652. >view details. SP $750,000. Closed 10/9/07. Enjoy chamber music concerts in the grand entrance parlor of the elegantly restored Aubrey Underwood House Circa 1915. Walk to Durham Bulls baseball games, the American Tobacco District, Brightleaf Square, the American Tobacco Trail and much more. Lots of classic features and many updates including new zoned HVAC. A full daylight basement opens onto one of 3 decks. 4 bedrooms. 3 full baths. Featured in "The Week" Magazine as Steal of the Week. tmls#929993. >view details. SP $290,000. Closed 8/24/07. Nicely renovated ranch with open floorplan, new hardwood floors, vaulted and smooth ceilings. Great location - walk to Whole Foods grocery, Quail Ridge Books, Meredith College, greenway to Umstead Park and Art Museum. New - granite countertops, high-end appliances, Karastan carpet in bedrooms, lighting and painting. tmls#929103. >view details. SP $300,000. Closed 8/23/07. Simply extraordinary. Completly rebuilt in and out by relocating architects Jeremy and Donna Ficca, this home blends Bungalow old with comtempory new. Bright and open understates the view from the front door looking back to the grassy back yard. Birch built-in shelves and cabinets added in the 2 bedrooms, office, kitchen and living room. . tmls# 936639. $295,000. Closed 8/3/07. SP $295,000. The Annie Sallie Bailey House, circa 1896. This carefully restored Gothic - Queen Anne style home includes 3 gothic windows, lots of stained glass & five fireplaces. The versatile floor plan has living, dining and sun rooms plus three bedrooms that could be used as a den, office, study or parlor. One of the two modern tile baths has a walk-in closet. A narrow grassy driveway leads to a large daylight basement with doors big enough to build and/or store a small boat. Download flyer, MLS profile sheet and pictures. tmls#937325. Closed 7/12/07. SP $428,000. Handsome restored brick Bungalow with bonus family room and big basement for workshop, studio, whatever. Newer kitchen, gas heat/central air and tile bath with deep tub. Bedrooms (2) and bath open onto interior central hall. Great location near proposed Dix parkland. tmls#925665. $285,000. Closed 6/7/2007. SP $289,000. This picturesque Bungalow has 2,349 sqft on 3 floors with 3 BR, 2.5 baths, gallery-like formal rooms, 4 fireplaces and offstreet parking. A spectacular master suite has a marble bath, fireplace and a balcony overlooking a large deck. New half bathroom and gourmet kitchen. The stair hall is a 3 story column of windows opening onto the fenced backyard and garden. tmls#925652. $439,000. Closed 5/25/07. SP $435,000. Your own 'Field of Dreams'. This large 173 ft deep fenced corner lot can be garden, volley ball court, parking pad, whatever. The house is its equal with 2 BR, 1 BA, big LR, and restored bright, open kitchen/dining area, concrete basement. The 303 square foot walk-up attic is NOT included in the 939 finished square feet because it is just under 7 ft high. It could be used as studio/guest room. Download flyer, neighborhood info and MLS Profile Sheet. tmls#923343. Closed 5/14/07. SP $220,000. This beautifully restored home in Mordecai / Oakdale feels like a house twice its size with 3 bedrooms, a big 16x14 ft LR with a wall of new handsome bookshelves, a long dining room opening onto a side porch/patio, and an updated kitchen. A daylight 716sf basement is partitioned and wired a great studio/rec room. Offstreet parking. Big 0.24A fenced lot. tmls#888987. Closed 5/10/07. SP $239,500. Walk to Five Points, Glenwood South & Cameron Village from this totally renovated Craftsman style home with 3 BR and 2.5 baths. Gourmet kitchen & separate breakfast room or den/study plus dining room. Huge master suite. A spectacular Escher-like open stairway leads to the bright, finished attic with two big sky lights. The finished basement includes a wine bar and media room. A two level deck overlooks the 0.18 acre lot with driveway. tmls#901328. Closed 4/30/07. SP $570,000. Like new handsome 1912 two story home & detached 20'x20' garage/workshop/studio with 4 BR, 2.5 baths including two master suites. The 1st floor MBR suite with an efficiency kitchen is now used as a home office. Open floor plan. Shutters throughout. tmls# 854509. Closed 4/27/07. SP $460,001. A 1.22 acre mountain retreat with a creek running through it just minutes away from the newly opened extension of I-540 Outer Beltline. A grand great room overlooks a two-level deck in back. Other features include a 28x24 ft 2 car garage/workshop, a large first floor master suite and 2nd story BR with a balcony. It was built in 1981 with 3BR, 2 baths and 1,650 square feet finished. The scenic Maplewood Subdivision with many larger houses is located off Highway 64 near the new Lowe's in Knightdale. Pictures, floorplans and much more. tmls#909451. Closed 3/27/07. SP $175,000. The Pullen-Parkerson House c.1880 is one of the oldest homes in Oakwood. It has 12 ft ceilings and 2 porches with elaborate Sawnwork that overlook a big 0.26A corner lot. The efficiency apartment with a vaulted ceiling could become a MBR suite or 3rd bedroom. It is one of the Pullen Town homes built by Richard Stanhope Pullen in 400 blk of Elm St. Pullen donated the land for NC State and Pullen Park. Pictures, floor plans and much more. tmls#908359. Closed 3/2/07. SP $327,000. Walk to Foster's Market, Nana's Restaurant & the Forest Hills Park from this updated 1961 ranch with a great floor plan that includes a large, bright 20x15ft living room. Other features: hardwood floors, 3 bedrooms, 1 bath, 990 square feet. The large, level 0.27 acre fenced lot includes a pergola-covered patio, planting beds and a storage shed. tmls#899457. Closed 2/9/07. SP $127,000. This vacant lot is on a quaint cul-de-sac street on the southern edge of Historic Oakwood and near the new Cooke Street Devlopment. Walk to Raleigh's downtown, Moore Square and the new Fayetteville Street action! A wonderful screen of large trees at the street frontage provides a perfect opportunity to build an architecturally interesting, yet private residence. Review the architectural guidelines of the Raleigh Historic Districts Commission. Go to Neighborhoods on my web site for map of local and national historic districts. Colisted with Debra Smith. tmls#893179. Closed 1/19/07. SP $72,500. Handsome 1925 Bungalow with bright open spaces and floor plan. 3 BR and 2 full baths. New kitchen. Sparkling hard wood floors. Big deck overlooks fenced back yard. Walk-up attic with lots of light offers expansion potential. Location in National but not local Historic District means that exterior improvements do not require approval of Historic Districts Commission. 1,720 sqft. Go to Neighborhoods on my web site for map of local and national historic districts. tmls#881807. Closed 12/18/06. $310,000. This Five Points home circa 1928 has it all. New kitchen, windows, half bath, roof. A classic porte-cochere and circular brick driveway. LR, DR plus a family room and south-facing sun room. Great expansion potential. A big, level 0.3A lot with double tiered deck. A daylight basement rec room (other sqft). Located in Vanguard Park National Historic District, view Neighborhoods on my web site for map of local and national historic districts. tmls#888264. Closed 12/15/06. $432,000. This is a new Craftsman style home to be built next door to 731 S. Boylan Ave. (Scroll down to see information on 731 S. Boylan Ave when sold earlier this year.) 5BR/3.5BA. 3,000 sqft. One car garage. $525,000. Click here for floor plans. tmls#837820. Closed. SP $568,500. Originally built in 1891 as the blacksmith s house and workshop. This house has it all - a wrap-around porch, a side-facing deck, a brick courtyard and an ornate wall. Add a garage & expand the house into the large fenced back yard with side alley access for cars and kids. May be eligible for NC Rehab Tax Credits. Large rooms with high ceilings. Spacious floor plan can be used to fit many different needs with living and family rooms, dining room, sunroom. 4 BR. 2 BA. 2518 square feet. 0.31 acres. tmls#871962. Closed 11/2/06. $377,500. 1999 Parade home on a cul-de-sac with inside the beltline convenience, just outside the beltline near Crabtree Valley. Bright, open floor plan with soaring ceilings and hobby room for office or rec room. Big trellis covered deck overlooks large fenced backyard. Just listed, check back for more information. Colisted with Debra Smith. tmls#891561.Closed 10/26/06. SP $396,500. The Newberry-Bailey-Peede House, circa 1895, has high ceilings and big rooms. Its original classic center hall floor plan is still intact in front and could be restored in back. A wrap around porch strategically commands a corner lot. The side yard provides off street parking and a nice garden/patio area. An inspection report and floor plan are available to help prospective buyers consider rehabilitation options. May be eligible for NC rehab tax credits. 2 full baths and 1,612 square feet. tmls#863519. Closed 10/13/06. SP $262,000. The historic Shine-King House is one of the oldest houses in Louisburg with parts of it dating back to the early 1800's. In the early 1900’s, the lower level was used as a doctor’s office to service the hospital that was located across the street. The house has a versatile lower level with full kitchen, bath, bedroom and living space that could be used as an in-law suite or studio. tmls#863188. Closed 7/21/06. SP $132,900. Built in 2001 within the Historic District this 4 bedroom, 3 bath home offers on the 1st floor a Master suite, a 2nd bedroom that could be a handsome Den with its Craftsman style panelling, and a dining room with a soaring ceiling. Upstairs there are 2 bedrooms, an office and lots of walk-in attic storage (not shown on the floor plan). tmls#828392. Closed 7/11/06. SP $330,000. Perfect .39 acre site inside-the-beltline for an inspired custom home tucked back in the trees. Architects take note of this one. Secluded and tranquil with small stream along the perimeter of the lot. Million dollar homes in neighborhood. New survey available. Download MLS data. Listed by Debra Smith 919.349.0918 or email debra@debrasmith.com. tmls#842641. Closed 6/30/06. SP $225,000. The Barrow-Wilson House, circa 1890, is a historic Victorian treasure with classic detailing located in Louisburg, Franklin County, an area rich with history on the Tar River and home to Louisburg College. The deep 1 acre lawn with shade trees and a gazebo has been the site of weddings and many contemplative afternoons. The home was recently in use as a small bed and breakfast. The 2775 sqft includes LR, DR, 4 bedrooms, 2 baths and family room. Download pictures and MLS sheet. tmls#. $225,000. Closed. *Prepared by seller who grew up in property. Built in 1994 within the Historic District this 3 bedroom, 2.5 bath home offers the best of the old and new. Hardwood floors throughout the 1st floor, an open flowing floor plan, and a 1st floor Master suite with a new large master bath are just a beginning. Double doors lead out to the deck overlooking a fenced yard with a veritable orchard of various fruit trees. tmls#819723. Closed 4/28/06. SP $ 290,000. Walk to Whole Foods from this enticing Cape Cod or Provencal style (your choice) home on a 0.38 acre deep lot. Over 3,300sf in three level main house & detached 21x21ft studio. Original 1953 Caloric gas appliances, HW floors, ornamental crown molding, Art Deco fixtures. Move in today. Renovate and expand tomorrow. tmls#850811. Closed 4/28/06. SP$ 245,000. Classic Bungalow built in 1936 now fully restored with 3 bedrooms and 2 full baths. New includes baths, kitchen, roof, electrical, plumbing and heating and air. This was the personal residence of the sellers of 700 E. Fanklin St that just closed. The open floor plan with 1,246 sf flows out to a large deck overlooking the south facing 0.19 acre backyard. A driveway provides offstreet parking and backyard access. This is located in a quiet dead end street within the National Historic District. A map showing the districts may be found uner the "Neighborhood" tab above. tmls#848052. Closed 3/31/06. SP $260,000. Painstakingly renovated (just completed) as a personal residence by the sellers who are now moving out of town, this 1922 Bungalow has 3 bedrooms and 2 full baths. The "big boned" floor plan includes a long center hall plus open flow from the LR through the DR and kitchen to a large deck and south facing 0.22 acre backyard. The big 17x14ft MBR has a new bath and decorative fireplace that could be lined. The even bigger basement studio/workshop has a concrete floor and lots of windows. tmls#827186. Closed 2/13/06. SP $350,000. Quality, character and location. Walk to the NCSU Main and Centennial Campuses from this one bedroom condo with french doors that open onto a private patio. New carpet and lots of updates. Download pictures (104 kb), MLS data (41 kb) and map (234 kb). Tmls#839731. Closed 1/31/06. SP $64,000. [Click on address for a portfolio of pictures, plans & maps.] Classic 2 bedroom, 1 bath restored Bungalow, circa 1939, with tongue-and-groove wooden ceilings, hardwood floors, LR, DR plus a 22x7ft bonus room. Its location and 50x179 ft fenced lot are also extraordinary. Fenced front and back, the lot includes an exquisite garden and a 1.75 car garage. The Westover subdivision feels like a small rural town. Located just outside the I-440 Beltline and minutes from I-40, it is an easy walk to the State Fair Grounds, the James Hunt Horse Complex, the NC State College of Veterinary Medicine, Carter-Finley Stadium and the RCB Center, home of NC State basketball and the Hurricanes NHL hockey team. Tmls#831801. Closed 12/20/05. SP $143,000. Professor's Home on beautiful 0.45A lot. Lots of hide-a-ways in and out for books, art and people. 4 bedrooms,3 baths, big family room and screened porch. 2 decks. Gardens front and back are the "yard of the month" (see links on page 1 of details for this home). Large front yard faces park-like setting that leads to world class high school, 2 small lakes, pool. Base schools are nearby magnets. Longview Gardens is one of Raleigh 's best kept Inside The Beltline secrets. Tmls#814497. Closed 12/18/05. SP $172,000. With a wall of windows overlooking the city skyline, this restored 3 BR, 1 bath home has high ceilings, a great floor plan and a large, fenced backyard. The sellers, who are relocating for a job, have totally renovated the kitchen and bath, added new carpet and made other improvements. 1,470 square feet. tmls#822531. Closed 10/27/05. SP $268,500. This remarkable 1200+ sf home has it all - 3 bedrooms, 2 full baths, hardwood floors, 9 ft ceilings, large fenced yard, storage shed/studio, big modern kitchen. And it has gallery-like style inside and out. tmls#817101. Closed 9/29/05. SP $225,000. Mountain top privacy overlooking a creek. Newly added windows (2005) dramatically brighten this bungalow that was renovated in 1995. The large eat-in kitchen has lots of cabinets and opens to the living room with a vaulted ceiling. Heart pine and tile floors. Big deck. Offstreet parking. tmls#818383. Closed 10/11/05. SP $132,000. Look twice – this is not an ordinary ranch. The 1997 master addition and updated kitchen raises the bar on most ranches. For your morning coffee and to read the paper however, you’ll want to head for the 12’ x 16’ screened porch amid .76 acres of private wooded yard. 4 bedrooms/3 full baths. Where is Roylene Acres? – just outside the beltline with easy access to the freeway. tmls #818405. Listed by Debra Smith. Closed 10/14/05. SP $200,000. Stunning modernist house tucked away in quiet Cameron Village. Beautifully done windows and colors. Updated kitchen, large lot. 3BR, 3 BA with the possibility of a 4th BR. You must see it to believe it. Colisted with Debra Smith. tmls# 819457. $375,000. Closed 9/14/05. SP $385,000. Bungalow heaven. This 1,111 sqft home has great floor plan that includes a true Master suite, a 2nd bedroom and 2nd full bath, an entrance foyer and hall, a large 15x15 ft Living room (that is not a hall way), a formal dining room and a bright kitchen with eat-in counter space (or room for a bistro table). It is located on a quiet one-way street with an intimate fenced backyard with plenty of sun and shade, grass and patio/deck. tmls#804586. $237,000. Closed 8/31/05. SP $235,000. This Manhattan style condominium with a penthouse patio, 2 or 3 bedrooms including two master suites and a garage/studio is located on the shore of Lake Raleigh in the middle of the Centennial Campus of NC State University. Redhat Software, Bayer, ABB and the new NCSU Alumni Center are a few of your nearby neighbors in this campus setting of public/private partnerships near the heart of downtown Raleigh. tmls#801076. $249,500. Closed 8/24/05. SP $251,500. Just listed. The Ellen Mordecai House, Circa 1874, is one of Raleigh's grand "dowagers". Elegant. Handsome. Practical. With 4,300 sqft finished plus an additional 1,500 sqft in the daylight basement, the versatile floor plan includes 1st floor master BR, a 2nd floor apartment, a library-office, screened porch and much more. tmls#807278. $650,000. Closed 7/22/05. SP $650,000. Historic District. Unique 8-pained windows, a wrap around porch, large lot, big rooms and good bones are ready to be restored to their original 1908 elegance. Great location. Rear alley. Gas steam heat and zoned AC. 200 amp elec. Versatile plan. 1 flr MBR. Upstairs - 5 rms (2 BR + 1 w/o closet), 1.5 baths (could be 2), 2nd kitchen, back stairs. Utility apt possible. Sold as-is. tmls#799254. Closed 07/08/05. SP $295,000. Nestled in the heart of Historic Boylan Heights, this restored 1925 home has Hayes Barton like elegance and practicality. Bright, open spaces include LR, DR, sun room, 3 BR plus a 4th room upstairs. Hardwood floors throughout. The townhouse sized lot is low maintenance but big enough for a garden and/or patio plus the existing deck. tmls#796966. Closed 07/08/05. SP $270,500. Zoned O&I-1 in Historic Oakwood. Live and/or work in the Marshall-Harris-Richardson House ca. 1900. Raleigh Historic Landmark and National Register. Elaborate details in and out. Soaring ceilings. Ornate moldings. 5 fpl are decorative. Parking shared with adjacent buildings. tmls#804775. Closed 07/07/05. SP $410,000. Big, beautiful and bright. Highly desireable Waterford model with open floor plan. Read the paper in the sunroom, indulge with the master/bath suite double sided fireplace, relax on the distinctive tiered brick porch, and walk to shops and restaurants. Near Rex Hospital. Listed by Debra Smith. 349-0918. tmls #785526. Centennial Campus Area – 2.8+ Acres (inside the beltline!) of private views, wild azaleas, grapes, and flowering dogwoods. Hundreds of bulbs planted over the last 47 years. Original owner. Designed by McKimmon and Etheridge Architects, 2642 square feet of living. A rare find with 3.5 baths, shop space, emergency generator. Bright daylight basement with fireplace. Please don’t disturb the nesting wood ducks by little “Spring Branch” stream. Perfect home for NCSU faculty and researchers! Listed by Debra Smith. tmls #794254. Closed 6/28/05. SP $305,000. This beautifully restored 1930's Bungalow is "High Cotton". Just repainted outside. Trompe l'oeil inside. Eat-in modern kitchen plus separate DR and LR. FR/Den could be 1st floor master with wardrobe. 3 upstairs bedroom all have walk-in closets. Zoned gas HVAC. Gas logs. Townhouse-sized lot is low-maintenance but big enough to include a fenced patio & garden and off-street parking just steps away from the kitchen. Big front porch. tmls #793096. Warm and cozy, yet bright and open. Imagine the Dogwood trees, Flaming Dragon bushes and cactus blooming in your own natural area that surrounds all sides of the spectacular 0.96 acre lot. Full daylight basement. tmls#735528. Closed 06/03/05. SP $272,500. Extraordinary location & 0.16 acre lot nestled in a quiet neighborhood just blocks away from the Glenwood South condo & entertainment district. Move in today to this all brick updated 1962 ranch with a finished basement (studio, 3rd BR, rec room or workshop), a private herb garden, a "shuffle board" driveway (i.e, concrete, level). Tomorrow add a Arts & Crafts style front porch in front & a sun room in back. Walk to NCSU, downtown, elementary & high schools. 2BR, 1 bath, 1550 sqft. tmls#777610. Closed 5/20/05. SP $240,000. This handsomely restored 2 story, 4 BR, 2 bath home was built in 1912. This home is extrodinarily bright, architecturally distictive and unusually practical. Features include a wrap around porch, a fenced yard with a two-level deck and garden areas. There is off street parking, four fireplaces, and brand new dual zoned heat and air. tmls #776222. Closed 5/27/05. SP $350,000. Cameron Park Condo. Absolutely unique 4 unit condo built in 1917 with 'big city' style in and out. Three floors, a full basement, a front porch, fenced back yard, and rear alley parking - this house has it all. Move in now and upgrade older kitchen and 3 baths now or later. May be eligible for NC Rehab Tax Credits. tmls#740674. Arts and Craft style 2,369 sqft home with 4 BRs, 3.5 baths, 2 car garage with work shop area. Spectacular. Will be completed in January 2005. tmls #760274. Closed 5/6/2005. SP $397,500. Penthouse living overlooking the Oakwood Common. Totally renovated, this 2,000 sqft home with 3 BR 2 BA formerly was a triplex. A wall of windows across the entire north side overlooks from its elevated location the scenic Oakwood Common, a neighborhood park with chess tables, benches and swings. A bright open master suite has windows on 3 sides. The finished basement could be 4th BR, FR or studio. Offstreet parking. tmls #776225. Three, yes 3 full baths, a real MBR up and possible MBR down. Classic style. Painstakingly renovated and painted. 2,706 sqft. includes a 29x9 foot 2nd floor room that could be 4th BR, play area, hobby room and storage. A 28x15 foot workshop/ studio is in the basement. Offstreet parking. tmls#758832. Closed 3/1/2005. SP $368,000. This was the home of my two granddaughters, Ella Jo and Kay Rumsey who now live in the Atlanta area near Emory University.